As cheerleaders, advocates, prayer warriors, and mentors, parents are integral members of our community. We understand the Gordon experience is a family affair, so stay connected through prayer, support, events and parent resources! The Gordon College Parent Advisory Council (PAC) exists to support the mission of Gordon College and to strengthen communication and connection between parents and the College. Collaboration between the PAC and the College will enrich and enhance students’ education and experience at Gordon, while providing information and advice about parent questions and concerns to College administrators. PAC members set a leadership example through philanthropic support and advocacy of Gordon’s mission.  The Bell is where the most recent stories about campus happenings, alumni and students can be found. There is much happening on campus that we welcome you to participate in or encourage your student to attend. Gordon's master calendar provides a comprehensive list of events happening on campus. Above all else, we invite the Lord into every aspect of your student’s experience at Gordon. From the classroom to the dining hall, from the athletic fields to the music and art studios—in every corner of campus, our desire is for God-breathed experiences in everything your son or daughter participates in. We will keep you informed of opportunities to pray for specific campus needs from your home or on campus at our monthly Parents and Friends prayer gathering. It is because of the generosity of so many members of the Gordon community that our students with financial need are able to make Gordon a reality. We welcome parents to join in the family of supporters who make scholarships possible for so many deserving students. Throughout the year, you will receive news of opportunities to participate. We invite you to read these stories and respond as you are able. Here at Gordon, we are blessed with an outstanding parent community, exceptional students, and thousands of alumni following God’s call. We welcome parents to be part of our marquee events that bring these communities together. Orientation, Homecoming and Family Weekend, and Commencement are just a few of the opportunities each year for parents to serve as volunteers while experiencing the joy and excitement of these milestone events. Spread the word among your families, friends, and churches about the transformative experience your student is enjoying here at Gordon. You are our best marketers for the value of a Gordon education. We welcome parents to join us on a variety of occasions throughout the year where there are opportunities to speak with parents whose sons or daughters are considering Gordon.